Coming to visit Costa Rica? It's CRUCIAL to know ahead of time that Costa Rica is NOT an easy country to drive in!! Personally I LOVE driving!! I find it therapeutic!! I've driven 110 mph on the German Autobaun!! I've driven through tiny villages in Italia with no stop signs. I hardly ever saw an accident in those places and I felt TOTALLY confident driving. In Costa Rica - there's NO WAY IN HELL that I'll ever own a car as the first week, I'd probably have an ulcer AND kill someone - and if it was a motorcyclist - I'd probably have a clear conscious as MOST that I've seen seem to have a Death Wish with the way they drive (more on that later - but just start observing accidents you see. The majority I've seen and have known people of having - BY FAR - involved a motorcycle!!). So what's up with why I'm not keen on driving in Costa Rica?? First off, Costa Rican's have ONLY been a "Car Society" for about 20-25 years and one where to get a driver license, one just needs to go in and take a written (in Spanish) and driving test but they are NOT required to have taken and passed any form of Drivers Education courses to actually teach them HOW to drive properly. So in essence, you have the blind leading the blind. So if you're coming for a visit and INSIST on driving yourself (do NOT call me if you have problems!!! I give you the option of hiring a Driver to have more EASE and a more AMAZING vacation!!!) - be WISE and either rent the GPS that the car company has (average price I see for that is around $10 per day. WELL worth the investment in your SANITY!!). If you're moving to Costa Rica or living here - SERIOUSLY HEAR ME!!! "WHY do I need a GPS?" you ask?? So for the sake of your sanity, your relationship/marriage, anyone that drives with, you added to the increase chances of accidents that WILL happen - GET and USE A FRICKEN GPS!!!!!!!!!! WhatEVER you do - do NOT NOT NOT bring or use software that is NOT purchased from NavSat IN Costa Rica!!!!!!!!!! I can tell you, the people I've known that have brought those have ALL said it was ONLY accurate 40-60% of the time. It has a collection of Costa Rican GPS waypoints, tracks and useful location information. It's GREAT for locals and tourists alike!! PRE-purchase any Garmin GPS from the Nuvi series (other Garmin models are also compatible, if they have an SD card reader. NON-compatible devices are TomTom, Magellan, NavTeq, among others). THIS is the one you need to be compatible with the best software for Costa Rica that you get IN Costa Rica. I’ve seen it on Craig’s List/eBay for as low as $70. THEN come to Costa Rica and add the $89 EzFind map (or one of the shorter/limited ones below). Fred has found http://GPSTravelMaps.com/costarica.php pretty accurate in the Central Valley. My Facebook buddy Mila Gamboa has few extra VIP tickets (she says they’re GREAT seats!!!) for SHAKIRA’s concert next week - Sun. April 10 (NOT April 3 as originally was reported) she's selling at cost $120 each!!! 8-701-6574 (faster) / MilaGamboa@me.com (she's in Santa Ana). Since parking is MEGA limited in our NEW STADIUM, I'll throw in FREE PARKING to whomever buys Mila's tickets at my place - the House of Self Empowerment - ON Calle Vieja near Calle Country Club in Escazu - so you can come early, dine at one of the over 50 restaurants within 15 blocks of here, take the bus that drops you off a couple blocks to the stadium or one of my English-speaking taxi drivers!! Join us to learn about the benefits of doTerra therapeutic grade essential oils to enhance your life style naturally. See how an aromatherapy massage works to reduce stress, fortify your immune system, relieve pain and inflamation, and align the systems of body and mind, open chakras, etc. 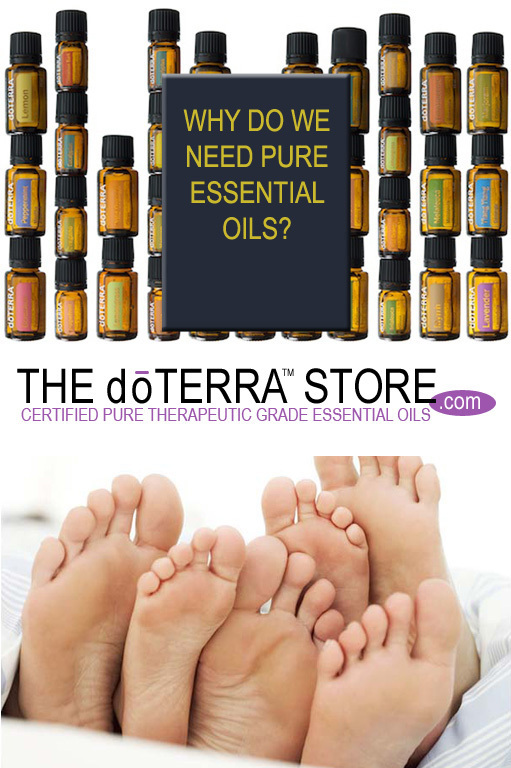 using Therapeutic-Grade Essential Oils featuring products by doTerra. Enjoy an evening away from the daily routine - immerse yourself in the fragrances of nature to lift your mood and calm your senses. Find about about Skin Care, cutting edge products for Weight Loss, Nutritional Supplements and many other things by enhancing your life. Coffee, tea and bocas will be provided. Venga y aprende sobre los beneficios de doTerra aceites essenciales grado terapeuticos para mejorar su estilo de vida en una manera natural. Control del peso, bienestar emocional, fisico y mental. Una demonstracion de la tecnica Aromatouch para Reducir el estres, fortalecer el sistema inmune, reducir la inflamacion y dolor, restablecer la homeostasis ( balance del cuerpo y mente ). Entrada Gratis - cafe, te y bocas. Disfruta una noche afuera de la rutina - con las aromas de la naturaleza para levantar el estado de animo, calmar los sentidos y mas. This event will be in English and Español. For more information on this event, learn more about doTerra, sign up to be a rep (so you can receive discounts on the products and/or make money/$$$ selling it!!) or buy some products, go to: http://MyDoTerra.com/alur or contact Adele at 8-845-8369 / AromaDoTerra@gmail.com and tell Adele that Vicki Connected you!! Thanx to Ron I just discovered this EXCITING service!! They make dvd’s copies of movies - new and old (sometimes they even get not released movies!!). Most dvd’s are in English with Spanish subtitles, work on most dvd machines (I’ve found this can be a challenge with copies and older/cheaper dvd players) and deliver them to you for just 1,200-c!!! AND, they even DELIVER to you for FREE ANYWHERE within Costa Rica*. Within much of the Central Valley: 10+ dvd minimum (depending on the location, possibly delivered right to your door BY the owners in Escazu for FREE*!!!). Around CR - 20+ dvd minimum (free post office delivery within CR*). BCR (they’ll instruct you on their bank account info) or payment upon deliver if they’re bringing it to you. Show your LOVE for Mother Earth - get the Tico Times ON-LINE!! 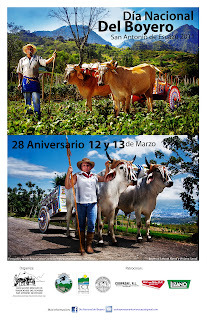 Each day I'm working more consciously on Showing My LOVE for Mother Earth, so for today, I've decided to STOP the PAPER version of the TICO TIMES (the main news source for Costa Rica in English) and ordered the ONLINE Gold Subscription version!! I ESPECIALLY LOVE their travel and restaurant articles and the Weekend Calendar as there just aren't any resources in Costa Rica like that!!! With it I got the Daily version AND back issues I can search for info WAYYYY EASIER and download it to read off my computer at my leisure. PLUS, when paying for 1 year upfront, I get a PDF version of their WONDERFUL Travel Guide "Exploring Costa Rica" (I think it's one of the BEST/most up-to-date guidebooks on Costa Rica!!). Another advantage if $$ is a bit tight, you can order a subscription for just 1 month ($5.95), 3 months ($17.95), 6 months ($35.95) as well as 1 year ($49.95)!!! The Tico Times is also a GREAT resource if you're thinking of moving to or visiting Costa Rica also!! Make sure to tell them that Vicki (aka THE "Sarong Goddess") shared this info!! FREE HUGS • ABRAZOS GRATIS Costa Rica HUG-FESTS!!!! WHAT’S A FREE HUGS CAMPAIGN • ABRAZO’S GRATIS? See their video from their Official Page!! I’d like to get re-started on this group during the holidays as what time of the year do people NEED Hugs the MOST (with all the crazy energy happening then!!)!! Anyone else in?? I’d say start at malls & during lunch time in Downtown San Jose!! The goal here is NOT for this site to be “the group” – but for it to be a place where other group/people can post where/when they’ll be out giving hugs so people can go to it & GIVE HUGS – or RECEIVE HUGS!! So if YOU’RE going out to give hugs – please let us know!!! FATHER'S DAY - Internationally (same date in Costa Rica?) - JUST give hugs to dads! WHAT IS THE FREE HUGS / ABRAZOS GRATIS CAMPAIGN? The Free Hugs Campaign is a social movement involving individuals who offer hugs to strangers in public places. The hugs are meant to be random acts of kindness - selfless acts performed just to make others feel better. International Free Hugs Month is celebrated on the first Saturday of July and is continues till August first. The campaign in its present form was started in 2004 by an Australian man known only by the pseudonym "Juan Mann" - a man whose sole mission was to reach out and hug a stranger to brighten up their lives. In this age of social dis-connectivity and lack of human contact, the effects of the Free Hugs campaign became phenomenal thanx to http://YouTube.com . In the Spirit of the free hugs campaign, Please “SHARE” THIS site with your FRIENDS - and HUG A STRANGER! After all, If you can reach just one person – IMAGINE how MUCH BETTER this world WILL BE!!! YOU ARE IMPORTANT!!! When organizer Vicki Skinner saw the YouTube videos (below) of this AWESOME concept - being a Hugging Goddess for AGES (she’s a Big Beautiful Woman with a great body for Hugging that envelops you!! ), she wanted to participate in such a group as she feels one can not get or receive enough hugs!! Facebook.com/pages/La-doñita-que-baila-en-los-conciertos-de-la-UCR/356232340717 - shared with her that Geoffrey West was gathering people in MultiPlaza-Escazu loosely in honoring World Freedom Day on March 6, 2011 WorldFreedomDay.me) to do a Hug-Fest!! That’s all she needed - Vicki was right there!! This small group walked around giving/sharing hugs with strangers (what a GREAT way to put a smile on MANY people's faces plus feel REALLY GOOD yourself!!!)!!!! It was an INCREDIBLE EXPERIENCE for ALL that gave and I’m sure all that received (stories coming soon)!!! for classes on Wednesday afternoons, that she & her helpers will be using to teach women from poverty areas how to sew & then sell their items. Classes will take place in the church building next to their church in Escazu. If you or someone you know would be interested in donating a sewing machine or selling one at a very reduced cost contact judith-padilla@hotmail.com / 2-228-0468. Do you know a Taxi/Van Driver that you REALLY LIKE but he just doesn’t speak enough English to deal with the English-speaking Tourists (hence REALLY enhance their business)?? Here’s a NEW SOLUTION!!! 4 Month Program - Once a week for 4 hours a day = 16 hours a month. 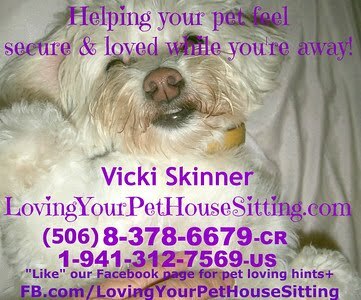 PLEASE "SHARE" this with EVERYONE you feel could benefit from this info!! Swing! Salsa! Merengue! Cumbia! Bolero! Pirateado! 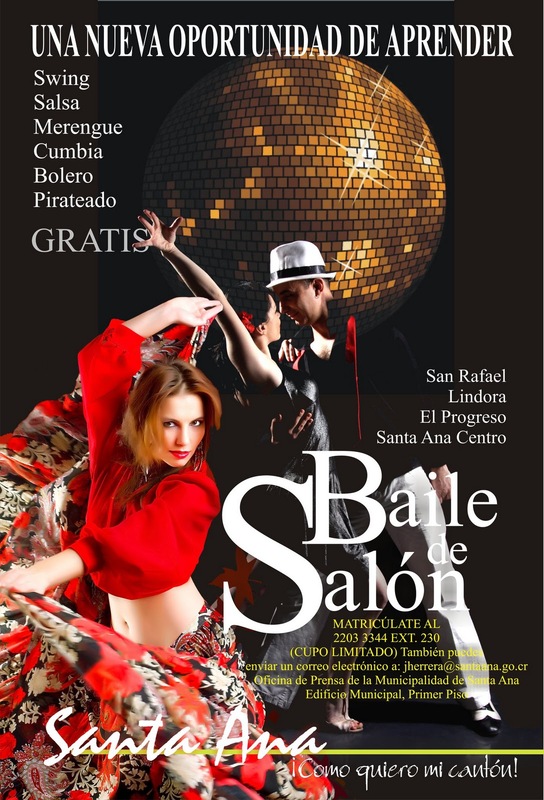 Ya están abierta la matricula para las clases de Baile de Salón! Son gratis, un día a la semana. 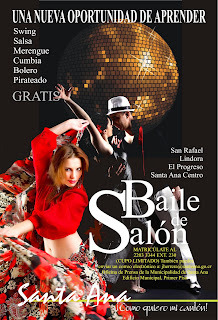 en Santa Ana Centro los Jueves en la Casa Municipal de la Cultura a las 7pm. 3pm - Masquerades roam the streets of the community accompanied by the cheerful music of Maroon. 6pm - Mass in honor Boyeros deaths. 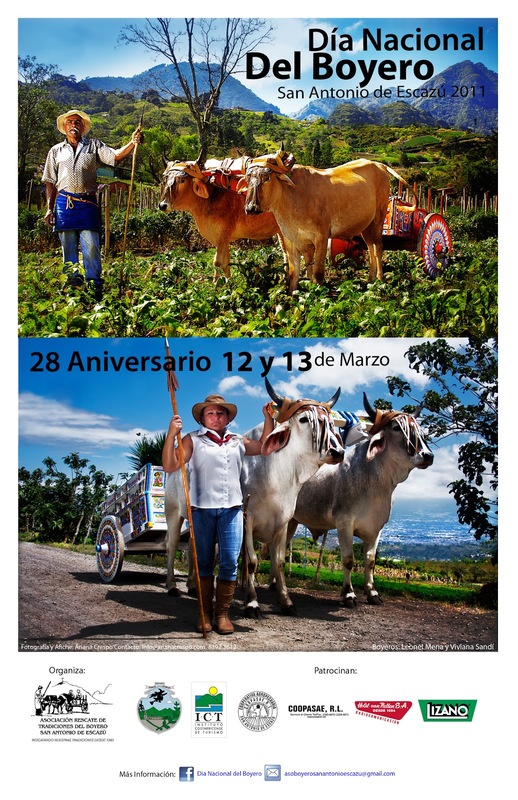 10am - Boyeros/OXCART Parade starting from the Municipality of Escazú bound for San Antonio. 2pm - Again, the costumes will delight young and old through the streets of the town. 3pm - Great popular outdoor dance enlivened by Marimba Espíritu Tico. This years headliner will be Sonny Boy Terry featuring John del Toro. Both hail from Houston, Texas. (NO outside food or beverage allowed. Please share this with ALL you feel would enjoy this event! On Sunday, March 6, 2011 we did our first FREE HUG / HUG-FEST at MultiPlaza in Escazu, Costa Rica!! WHERE: The organizer Geoff (a Tall, brown curly-hair dude - probably wearing a multi-coloured vest) will gather people near the entrance by where the movie theatres are (the Southern Entrance - I'm not clear on if we're meeting outside or inside). 7:15pm - Official Opening Ceremony - Main Stage - Plaza de Deportes - A delegation representing Mexico, Argentina and Costa Rica kick off the Opening Ceremony. Coming from the Pista - get off at the most Easterly Escazu exit (at HiperMas). Go straight up that street - up the hill till it curves Right (because a one-way street blocks it). At the 1st street you can turn Left (the 2nd street - at one of my FAV Tico restaurants - Casona de Laly). Go straight up, passing the iglesia/church after the lift, Camacho's Ferriteria - following the cars to what looks like the first larger Left turn area (no signs of course) & follow it around to an open soccer field across from the iglesia/church (on the other side of that wall is one of the MOST MAGNIFICENT pieces of art to me - it's a ONE BLOCK LONG cement carving tribute to the Boyero's/farmers and oxcarts!!!). There's also a stupendous view of the Central Valley from here! !